We have been taking trade–ins since the day we opened in 1993. Trading in is a great way to save some money off your new Mac and be environmentally conscious in the process. Systems that are covered under AppleCare will be approved on the spot after a quick inspection for damage. Systems that are no longer under AppleCare need to be signed in and tested for 24-48 hours. For more info, click on Goodies - Guaranteed Buyback at the top of the page. Do you want to just sell us your Mac for cash or will you be trading in toward a new system? Trade for a new Mac and you'll only pay tax on the difference! What do you primarily use your Mac for? Thank you for submitting your Trade In Quote request. Our sales team is calculating the value now and will follow up shortly. Head to the Mac page now to find the perfect new system! Systems under AppleCare are worth more. If you have the original computer box, let us know because that adds value too. Make sure you back up your data before bringing your Mac in for testing. If your trade is being done as part of our Guaranteed Buyback Program let us know in the Additional Comments what Mac you'd like to trade up to. Learn how to back up and remove the data from your Mac before selling or giving the computer away. Back up your data using Time Machine or other backup method. Reformat your hard drive and reinstall macOS. 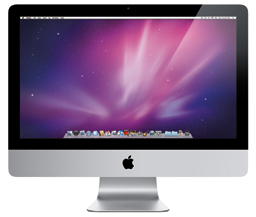 The easiest method is to restart your Mac and hold Command-R and use the Restore tools. After you reformat your hard drive and reinstall macOS, the computer restarts to a Welcome screen and asks you to choose a country or region. If you want to leave the Mac in an out-of-box state, don't continue with the setup of your system. Instead, press Command-Q to shut down the Mac. When the new owner turns on the Mac, the Setup Assistant will guide them through the setup process. Need Time to pay? get financing on your terms. Need your gear now, but require a couple of months to pay? Get approved for a FlexitiCard in less than 5 minutes so you can get what you want now and pay later. Flexiti payment plans make your purchase more affordable with financing rates lower than most credit cards. Easily pay online through your own bank account. Apply in-store today. Need to spread your payments over a longer period of time? Want to take advantage of a 100% tax write off on lease payments? Besides improving your working capital and leaving your lines of credit alone, leasing allows you to project your payments month after month. Have your gear pay for itself over time, all the while keeping more money in your pocket. Apply online today. Does your business, education institution or government branch issue purchase orders? You may be eligible for a terms account with Carbon Computing. We'll work with you to structure payment options so that you can get the solutions you need today.